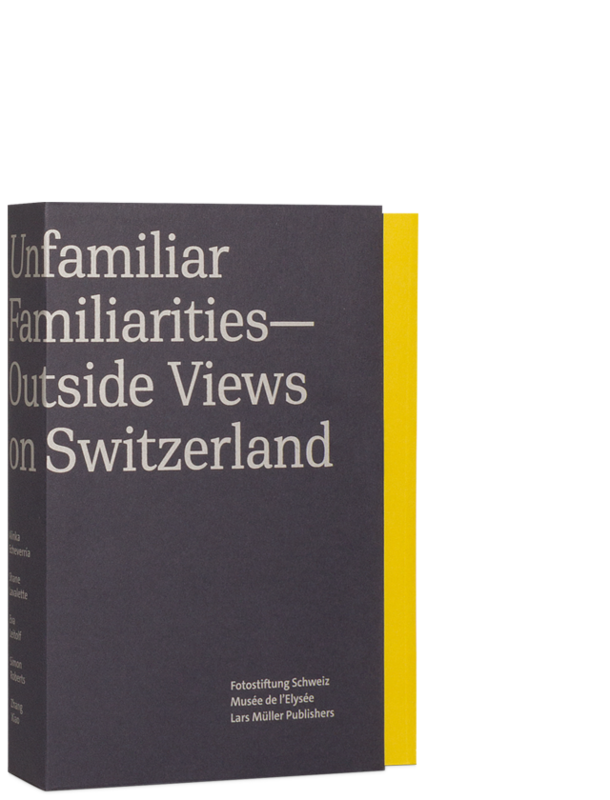 For Unfamiliar Familiarities five internationally renowned photographers from all over the world were invited to scrutinize Switzerland as independent and subjective observers – unrestricted by any advertising commission. Their images invite viewers to see the familiar with the eyes of an outsider. Switzerland’s image has been significantly shaped by photographs dedicated to tourism. Through spectacular mountain panoramas, snapshots of rural idylls or portraits of local people, the country could be successfully marketed and these photographs also made an important contribution towards national identity. Another consequence, however, was that the respective pictorial repertoire became inflated and stereotyped. Today these glorified stereotypical views are disconnected from reality and need an overhaul. What the photographers Alinka Echeverría (Mexiko/UK), Shane Lavalette (USA), Eva Leitolf (Germany), Simon Roberts (UK) and Zhang Xiao (China) discovered on their travels around Switzerland or along the country’s borders is both inspiring and revealing. "Als Nebenbei hat der Verlag Lars Müller fünf eigenständige Künstlerbücher realisiert, die das Medium Buch von seiner unübertroffenen Seite zeigen. In einem Schuber vereint hinterlässt "Fremdvertraut" einen bibliophilen Wert"